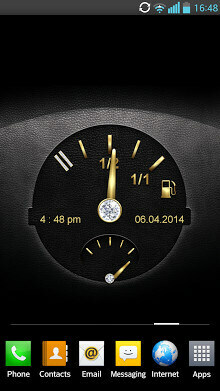 A slick Car dashboard wallpaper that displays the date, time, battery and signal level. Select from seven different in – car designs and themes. 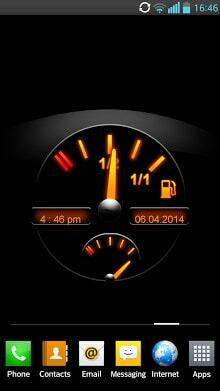 A great speedometer background theme for your smartphone. An elegant leather or wood surface, a classic display or neon look – make your choice between a variety of animated background wallpapers and you can assign a day and night mode for each. This free app includes all functions: You have to activate the display only once a day. Easily remove the activation and ads immediately with an easy, one-time, in-app purchase! Please note that not all Android devices support Live Wallpapers and Dashboard Themes. Please check compatibility before download!